Microsoft recently announced its new operating system Windows 10 which would be yet most stable and reliable version. Yet they have launched its Technical Preview version just for testing purpose that means you still have to wait for their final version. As Microsoft’s news says they are going to launch its official version soon in 2015. Previously Windows 9 was considered as the next operating system after Windows 8.1 but they directly jumped to Windows 10. So why Microsoft skipped Windows 9? Still, they do not have a clear reason for it; but as per our thinking, they are planning something for Windows 8.1 series for more development. The hardware requirements of Windows 10 doesn’t change as it is same as its previous version. So to run Windows 10 here are basic hardware requirements. 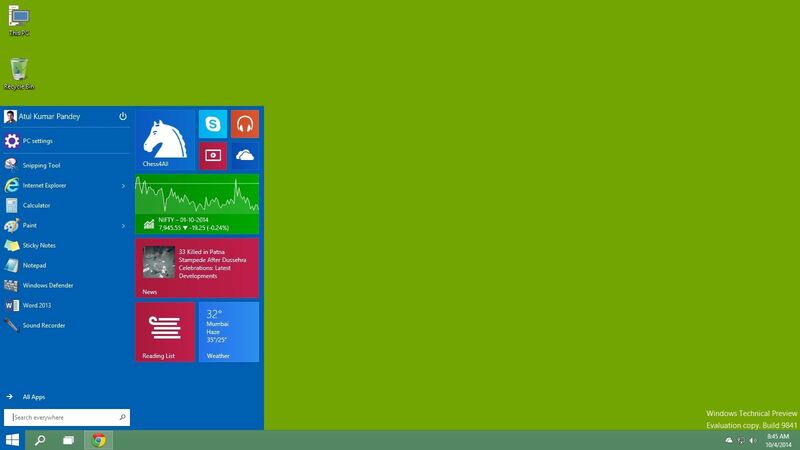 The first look of Windows 10 is the mixture of Windows 7 and Windows 8 as we see the start menu is similar to the desktop but on the side, they have added metro apps too. The basic look of Windows 10 is perfect and it is as per the user’s mind. If you were not liking the Metro UI based start menu then Windows 10 will surely attract you. What is New in Windows 10? This time Microsoft balanced tablet’s as well as desktop’s interface perfectly. This time they have enhanced the start menu added a new feature called task viewer and snap application feature is super duper cool and fits everything easily. As we already looked above about start menu of Windows 10 which is the combination of Windows 7 and Windows 8; what they have added more in that you can resize your start menu as per your choice. Also, they have eliminated some of the unnecessary apps which were never used from the start menu. You will still enjoy the feature of pinning apps to this small metro interface if you want to add any or can remove it if not needed. Also, there is a small change in power button location; as we can see that the power button is now on top of the start menu which we think a nice place as per the new look. Just like mobile phones, Microsoft introduced the task viewer in their new operating system Windows 10. This feature will be especially useful to all in one system, touch screens and tablets to switch between apps or to close them. You can see the task view button on the taskbar. 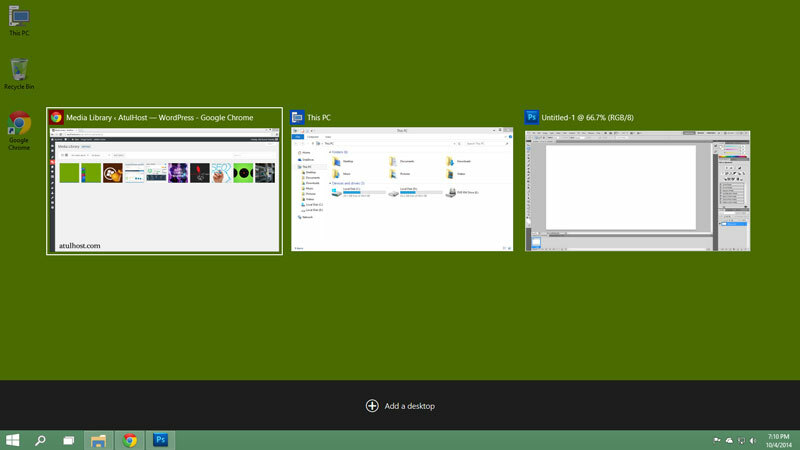 Microsoft also added multiple desktop feature where you can work on multiple desktops. 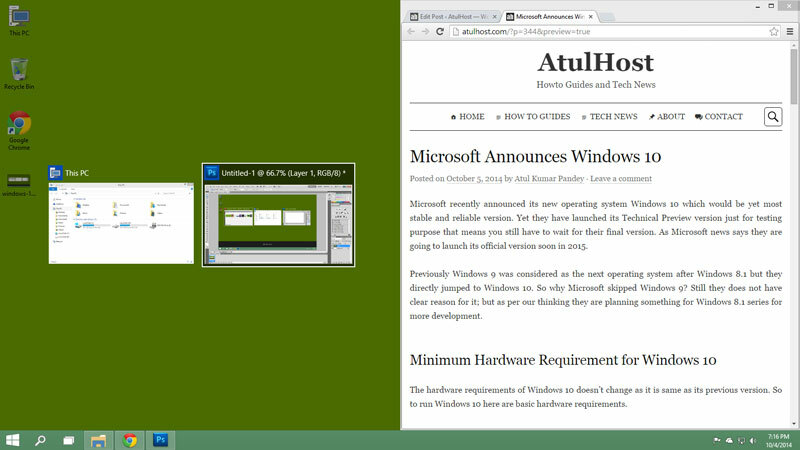 You have the option to run different apps on different desktops. Now Microsoft added an all in one search button too at the taskbar where you can search all the offline files, folders and web contents too. Now arranging apps for multitasking is simpler. As you shift your one app to one side the blank portion will show you a list of available apps to select and cover the blank side. It is a new feature which is available in Windows 10 only. If you are the person who loves to use multiple apps on a time this feature will surely blow your mind. Now it had become just a simple task to arrange multiple apps on one screen. Since the launch of Windows 8, we might have the issue with the two type of applications; one is desktop apps and one is Windows Store apps. 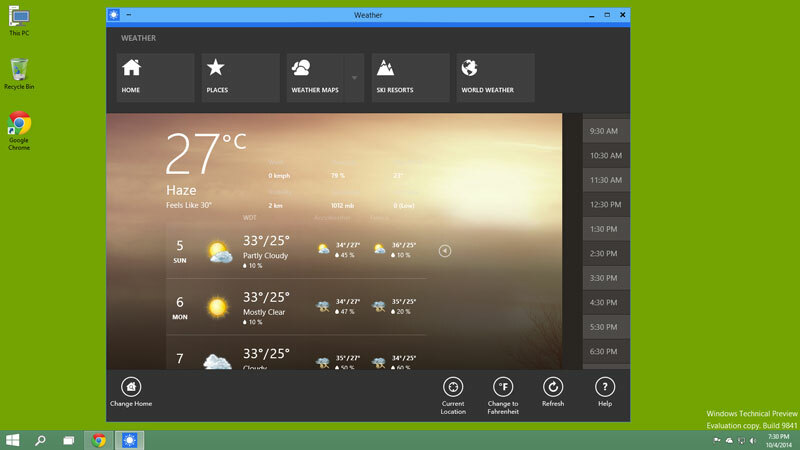 Both the apps run differently as desktop apps run in windows and Windows Store apps run in full-screen new window. It made the multitasking between different apps bit slower. That is why Microsoft in Windows 10 made everything runs in a window either it is desktop apps or Windows Store apps. Watch the below video from Joe Belfiore to see many of these features in action. This video will let you know how this version of Windows is better than its all versions. As Joe Belfiore Windows 10 is still in development stage and they have launched its technical preview version; so we strongly suggest to try out Windows 10 OS only on your secondary pc or in visualization software so that nothing will affect your current Windows. Related: Check Out the Best Laptop Brands in the Market. Windows 10’s final version will soon come out in 2015 so you can wait for their release or try out this preview version which is freely available on Microsoft’s website.